Helping your kid understand and recognize the way they feel after eating particular foods is a great habit to instill in them at a young age. These days most of our supermarket aisles are packed full of processed foods that have little nutritional value and a scary amount of additives and preservatives, which can truly affect your kid’s energy level and mood. Starting out by cooking meals together that contain nutritionally dense superfoods can be a fun and creative way of learning healthy eating habits. When you’re able to recognize the strong link between foods and your kid’s behavior, mood, cognitive function, and general energy, your desire to buy prepackaged processed foods will begin to dwindle. Sure ready-made meals are convenient when life gets busy, but you naturally begin to place importance on preparing foods that will enrich your kid’s well-being. 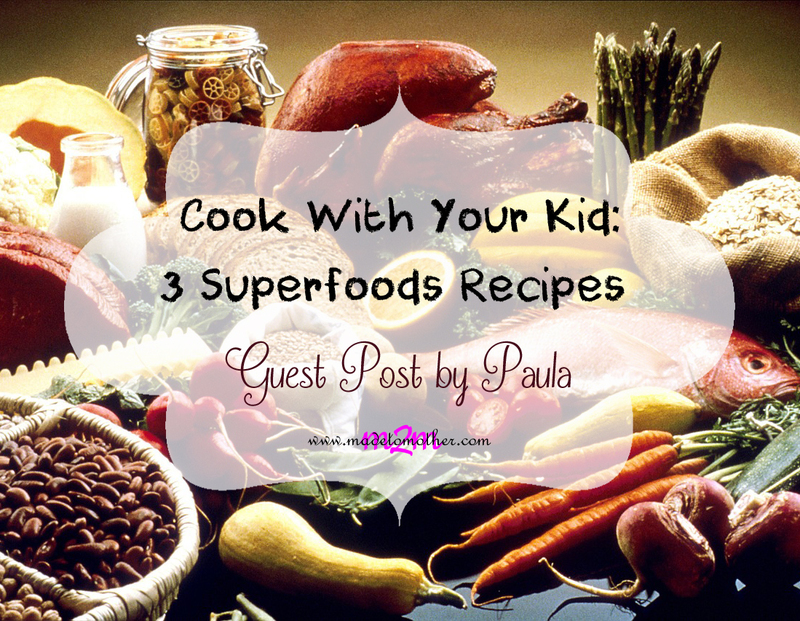 Superfoods are not just for grown-ups. They contain many life-giving nutrients, boost energy, improve immunity and are some of the most nourishing foods you could ever put on your kid’s plate. These berry cups are brilliant for breakfast, a snack, or even a boxed lunch. They will give your kid a natural energy boost that will last throughout the day. Blueberries are linked to increased cognitive performance and memory, raspberries are packed with antioxidants to give your immune system a boost, and strawberries can protect you against specific diseases. It’s interesting to know that regular supermarket honey is very low in quality because of the rigorous processing it undergoes. Manuka honey, on the other hand, is an activated honey, shown to be even more powerful than antibiotics when it comes to killing off bacteria. Manuka honey also has an impressive nutrient profile including B vitamins, iron, zinc, and magnesium. Your child will love it when you tell them “for dinner, we’re going to eat the rainbow!” It’s easy for them to get excited about the many bright colors that go into this salad! You can mix up the ingredients, to suit their preference for particular vegetables and add any sauces they are already familiar with. Quinoa is high in manganese, copper, and phosphorus, which are all important nutrients for optimal health. The large selection of vegetables will also ensure a high intake of a wide variety of vitamins and minerals. This is a fantastic recipe to truly unleash your creativity while bonding with your kid! The end result of this recipe is a plate full of vibrant colors and a variety of flavors that are guaranteed to make any kid get excited to dig into dinner. Eggs are a great source of protein, as well as a good source of B vitamins. Eggs also contain all nine essential amino acids needed for growth. Black beans are becoming more well-known for their unique properties, such as clearing toxins in the body, disease prevention, and their high antioxidant value. Sweet potatoes are one of the best sources of beta-carotene for vision and eye health, while bell peppers provide adults with 157% of their recommended daily intake of vitamin C and zucchinis provide high levels of copper and manganese. Adding spices to this dish, such as cumin and paprika, can help with your digestion and serve as an antioxidant. If it’s your first time making this dish, you can use fewer spices to begin with in an effort to slowly introduce them to your kid’s palate! It’s great in this modern day and age that we have a seemingly endless source of recipes online for superfood dishes. The most rewarding aspect is watching your family’s health shine after incorporating these new superfood recipes into your meal plans. Paula Snyder is a health advocate who works for Zen Spirit Foods, a business dedicated to offering quality, healthy eating options to families.